In April 2018, Visa is launching a new global policy for disputed charges. 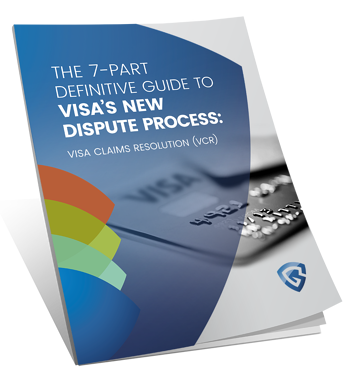 This new system, which will be known as Visa Claims Resolution (or VCR), is designed to move away from the current, litigation-based process to a model based on liability assignment. There will be some significant differences between the manner in which chargeback disputes are currently handled and the new procedures. You're certain to have questions about how this new policy is going to affect you and your business. We're here to help walk you through the coming changes and get you acclimated to the concepts behind the new system. This definitive guide will explain the reasons and methods behind the new VCR process, what to expect, and how to navigate it. Ready to navigate the VCR process? Download the guide now!